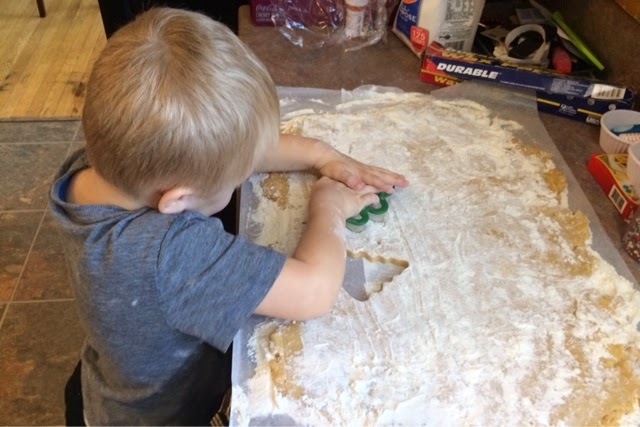 One of the things I love to do every holiday season with Landon is make Christmas cookies, so thought I'd finally get a good recipe up on the blog for reference. 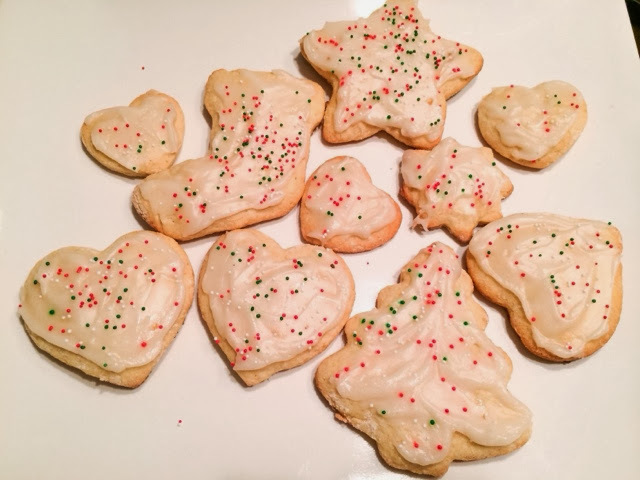 After trying many different recipes and making a few alterations, this is definitely my 'go to' recipe for sugar cookies & icing now. Trust me, you will love these! 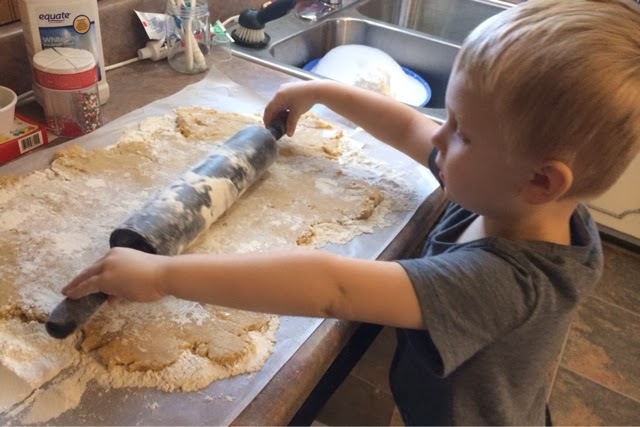 They are great for any occasion and fun indoor activity to do with the kids, and you likely already have all the ingredients in your house already. I definitely recommend making your own icing too because that's probably the best part about these. This recipe is really easy to follow and practically impossible to mess up, and the cookies come out absolutely amazing, & especially great for cookie cutting or cookie bouquets. 20 minute prep time, 8 minute bake time, & yields about 5 dozen cookies. 1. In a large bowl, cream together butter or oil and sugar until smooth. 2. Beat in the eggs and vanilla extract. 4. Cover, and chill dough for at least one hour (or overnight). 6. Roll out dough on floured surface about 1/4 inch thick. 7. Cut into shapes with cookie cutters & place cookies an inch apart on ungreased cookie sheets. 8. Bake 6 to 8 minutes in preheated oven. Cool completely. 1. In a large bowl, cream together the confectioners' sugar and oil until smooth, the mix in the milk and vanilla extract until smooth. 2. Add in food coloring or sprinkles.